How fast to turn your Magento 2.x store into a Magento Mobile App? ONE working day! No coding! So fast! Your MageMobi is now ready for both Android and iOS platforms! That is really amazing news. The Magebay Team was done a great job so far. Cheapest within one-time payment for the lifetime in use. So, please check all the product featured details and give it a try on demo. If you are newbie in Magento 2, just contact our guys for help. Save your development time and cost now! Promote items & services to customers via Notification. Be the first one, never behind your competitors. Be a virtual help desk to support client before & after purchase. 100% Custom branding: Use your own branding logo & mobile icon. A native mobile app for both IOS and Android. (Push notifications). Flexible layout & customizable(sliders, promotion banners, search bar). Free assist to publish on app stores. Free installation and user manual guide. Product catalog, product reviews, products information details. Payment gateway(Paypal, Stripe, Authorize, CashOnDelivery, Check Order). Synchronizations any changes on the website. Safety App, communicate with live store via SDK api and auto sync data. User profile and wishlist products. 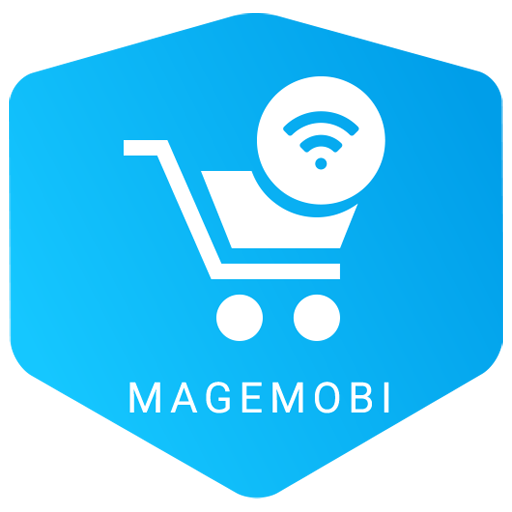 What included in purchased MageMobi App? Includes IOS + Android files, module config for Magento 2.x. Step by step guidelines if you want to config it by yourself. He will help you for free installation and publish app under your company account. Your apps will support all product type such as Simple, Configurable, Grouped, Virtual, Bundle, Downloadable. Allow purchases via secured payments gateways. Easy and flexible home image management. Lifetime license key for one domain. Lifetime license key for 2 domains. Module core source code and plugins depends on purchased edition. A license key code will be active during installation and for lifetime updates. It got this Magento Mobile App last month for my store. A number of people are using this app as it .. It got this Magento Mobile App last month for my store. A number of people are using this app as it is a direct marketing app and it is easy for them to use it. My firm has gotten good reviews also and the market value is increasing slowly. The speed of the app is amazing and so there are no loading issues faced. When there are loading issues people avoid using it. I was charged only a life time payment once so I don’t have to continuously spend for its maintenance. It is a high tech tool so this is loved by all, especially the tech savvy. The best way to convert your mobile audience is through the Magento Mobile App. The iOS and Android .. The best way to convert your mobile audience is through the Magento Mobile App. The iOS and Android compatible app comes with swiftest loading speed and is designed with the latest technology available. The app can be owned at affordable rates and that too with lifetime usage facility. The All in One app allows using own branding logo. The product offers a flexible layout with multiple language options. 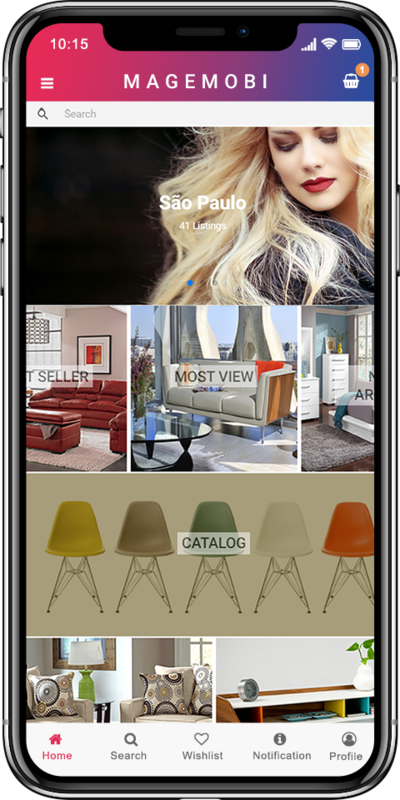 The app even allows easy promotion of items and services to visitors through notifications. Moreover, it also offers multiple payment gateways for ease of payment and enables Google Analytics monitoring. Provides excellent customer support for publishing of items on the app. I recently purchased the standard edition of the Magebay mobile app and found the customer service a.. I recently purchased the standard edition of the Magebay mobile app and found the customer service and technical support of Magebay above par. They were very helpful throughout the proceedings and guided me with which edition to choose as per my business needs. They provided installation help and advised patiently on any problems I encountered. I would certainly recommend them to anyone wanting to convert their Magento e-store into a mobile app. It is definitely an economical way to keep ahead of your competitors and closer to your customers. It helped my business grow and generate more revenues than before. 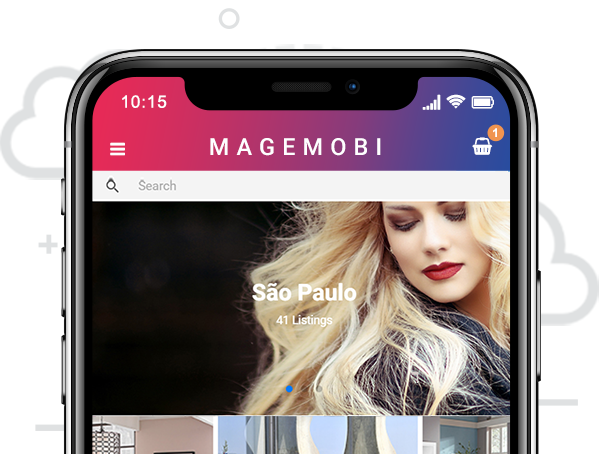 Magebay has developed a user friendly extension through which I was able to convert my e-store into ..
Magebay has developed a user friendly extension through which I was able to convert my e-store into a mobile app easily. By using the extension I was able to increase the visibility of my e-store. Through its amazing features like push notifications I was able to notify my customers about various offers more easily and quickly. The Google analytics feature helped me track my customer’s preferences. All these features helped me serve my customers in a better way, thus increasing customer satisfaction. Thank you Magebay team for creating a cost effective app that has helped my business to keep up with the latest in m-commerce!